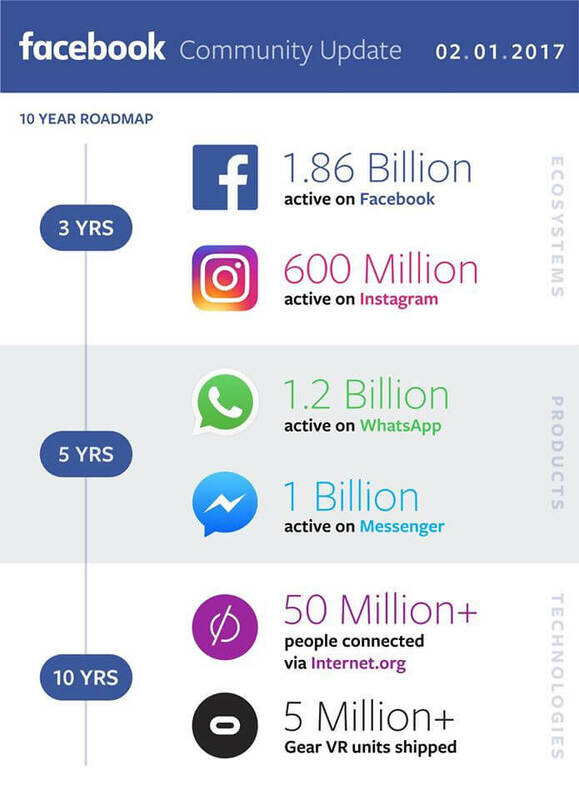 More than 2 billion users on Facebook. 1.2 billion on the Facebook Messenger. That is massive! Just think about it, if you walk up to a random person on the streets and ask if they are on Facebook. Chances are high they say yes! That is the dream for every marketer. 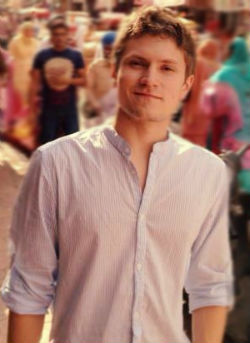 But here is the thing… Everyone knows that Facebook is great for marketing! That is why today there are more than 5 million advertisers on Facebook. So being active on Facebook is nothing new. I was wondering what can I do to stick out and do something different than all the other advertisers on Facebook? Facebook Messenger to the rescue. 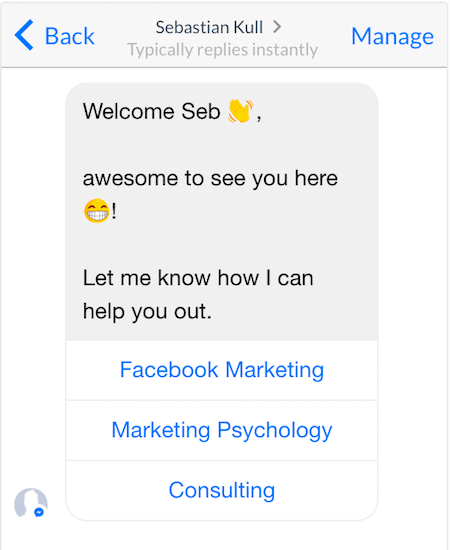 With the introduction of Facebook Messenger Marketing I had a completely new field to experiment and to test. And so far I love it :). Because Facebook Messenger opens a new door to user engagement. Facebook has always been about personal relationships and connecting with your audience. But nothing does it better than the Messenger. Just think about it, you are probably texting all your friends on the app, but are you actually connecting with companies there? If you are, then those are probably brands you actually care about. The Messenger is like a phone number you only give that to people you actually want to be in touch with. So, now that we have the opportunity to communicate with our audience on a personal level that comes close to actually speaking to them face-to-face, how can we leverage that? The answer is: scalable, automated Facebook Messenger sequences. Great, but how can you set them up? 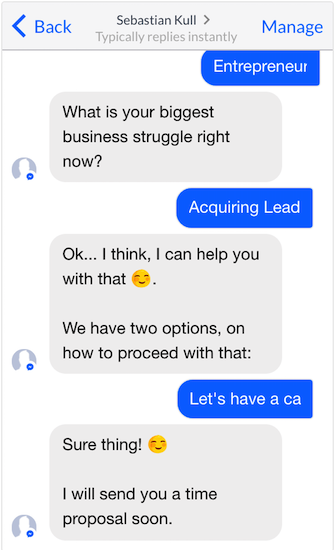 The answer is: Facebook Messenger bots. Now you might be thinking, this is risky. People don’t like bots. 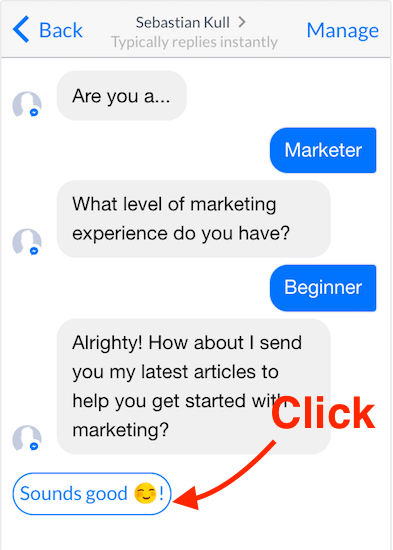 While Messenger bots are still pretty new there are already some big brands such as CNN and DuoLingo using them. 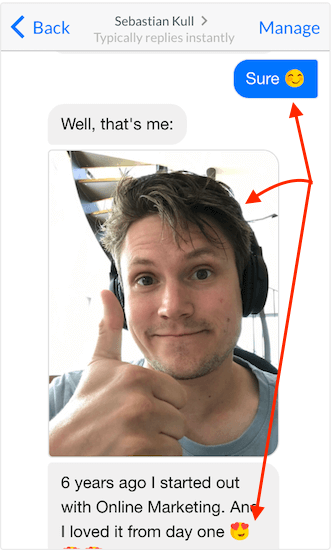 But if you still have your doubts I am going to give you 7 tips on how to create a Messenger sequence that feels human and converts like hell. Before we dive deeper into how you can create your automated sequence, let’s take a step back. 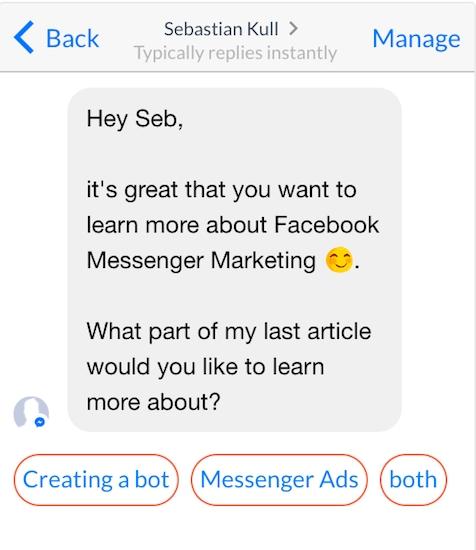 And take a look at what are Facebook Messenger bots. The term “bot” is generally used to describe a software that automates a certain task. Messenger bots or also known as “Chatbots” are a piece of software that automates a conversation. If you looked closely you probably noticed that it looks similar to a live chat function that can be embedded on your website, right? I am a big fan of Intercom not only because I think their product is awesome but also because I love their marketing. If you are not familiar with them, let me quickly explain. 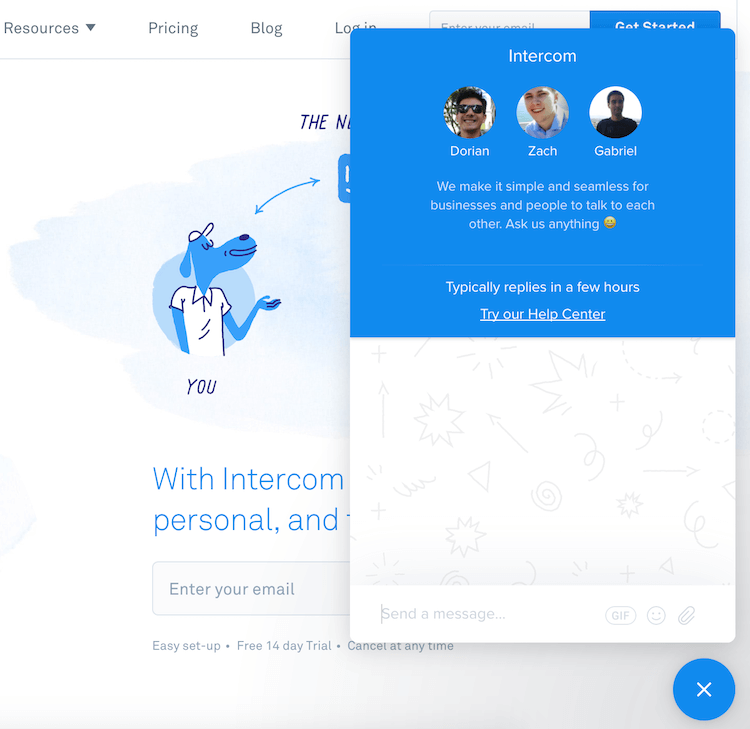 Intercom offers a live chat window that you can embed in your website. Live chat is an awesome feature that makes your website more human, interactive and according to Neil Patel it can boost your conversion by up to 45%. 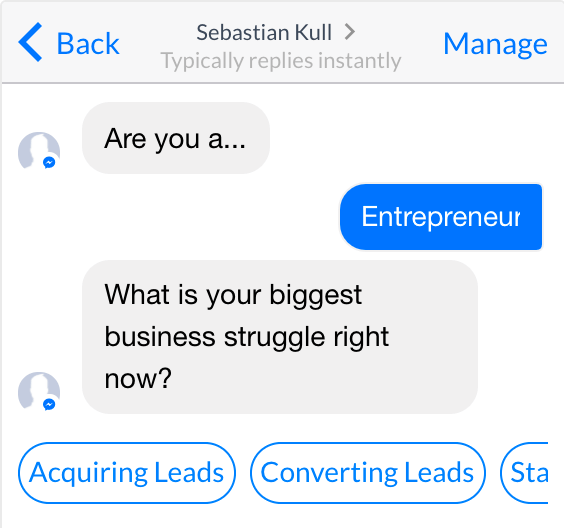 So if Facebook Messenger feels similar chances are high that you can boost your overall conversion in similar heights. 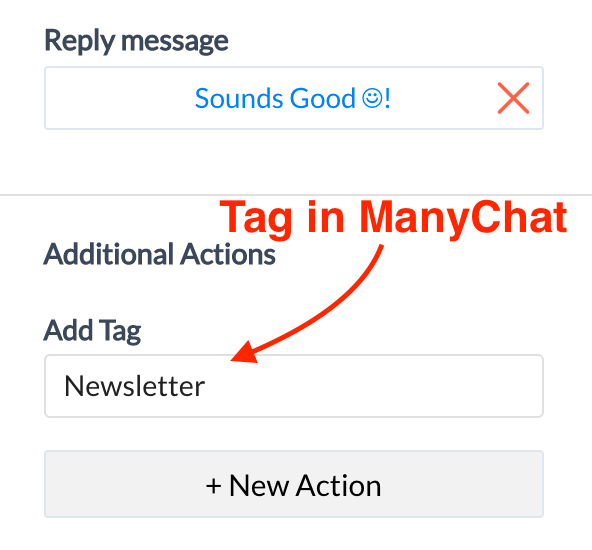 Best of it all, is that if you create a compelling Messenger sequence all this can be fully automated! Now let me show you, how exactly you can write such a sequence. Don’t just get started by creating a sequence blindly. Think of your Messenger sequence like writing a story. What you want to do, is find an engaging topic to talk about, like in a real conversation, that is your recurring theme through the entire conversation. A great way to do that, is to think of your entire customer journey. 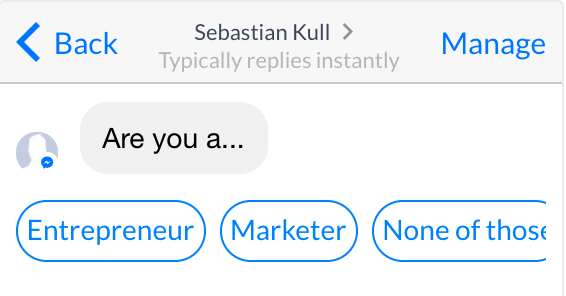 Who are the people that you want to push into your Facebook Messenger? Are those people that have read one of your articles? If so, then engage them in a conversation about your articles’ topic. If you want to address a cold or general audience, you can simply ask them what they would like to talk about. You can do that by creating a general welcome message with a menu. Like that people can choose what to talk about. By doing so you are automatically generating the feeling of a real and personalized conversation. Like in a real conversation you do not want to hand out standard answers to every question. That would make you and your messenger just look stupid. You want your sequence appear as human as possible. To do that map down a decision tree that provides different questions specific to previous answers. Here is the decision tree I have created for the last part of my sequence. Most important above all is the language you chose. Keep in mind, that the Facebook Messenger is an app that is used to communicate with friends and loved ones. That means, that you also need to adopt your style of communication to that theme. Another important aspect of texting, is to keep it short. If you have come from writing marketing emails and newsletters in the past, you are probably used to a longer form of text. When switching to messenger keep in mind that the phone screen of people is a much smaller than desktops. This means that you need to come to the point much faster. Now something that is easily forgotten, when using Facebook Messenger you are engaging in a conversation! This means, that you will need to let your audience respond and answer back regularly to keep the conversation flowing. While there is no size fits all, I recommend to let people respond on average every 3 messages you send. By doing so, you will keep your audience interested and engaged right from the start. Also you are “training” them to click on your messages, which will help if you are linking to sales offers or landing pages later. One of the oldest secrets of marketing is to provide value, before you take. In marketing psychology this principle is also known as reciprocity. People won’t sign up to your Messenger just to have a chat. You will need to provide them with something. Incorporate that principle into your Messenger sequence. I am a fan of over-delivering free accessible value. That is why I have added some extra tips in my Messenger sequence, that provide extra value right before I ask people to do something for me! 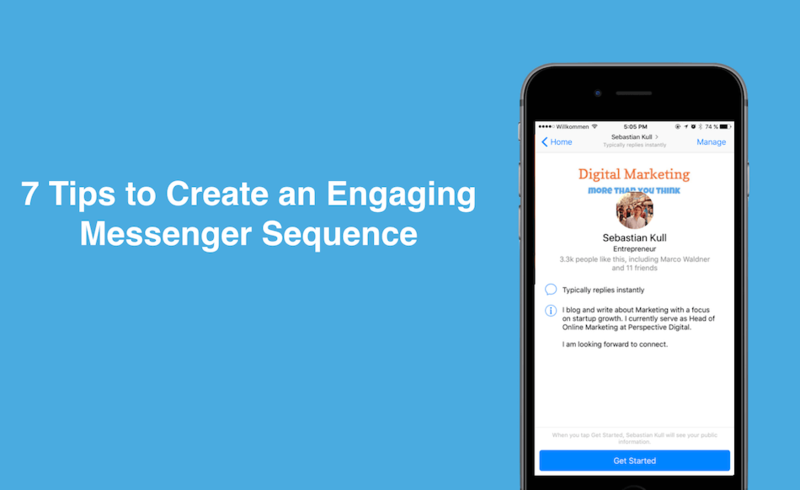 Every person you are engaging with in your Facebook Messenger is a lead. But your automated sequence will help you to further drill down on your leads and convert them to prospects. What you’ll want to do is ask a couple of super simple questions, that people can answer with the click of a button. Keeping it simple is important here, because the Facebook Messenger is an app on a phone. This means, that people usually don’t bring along lots of time or patience to hang around. That is why we ask a series of simple questions that are easy to answer for the user and provide us with maximum impact. Here are the question I ask in my sequence. Of course, in the second layer you’ll want to ask new questions according to the previous answer. Now I am dividing by the biggest pain point. How can I help you in particular? 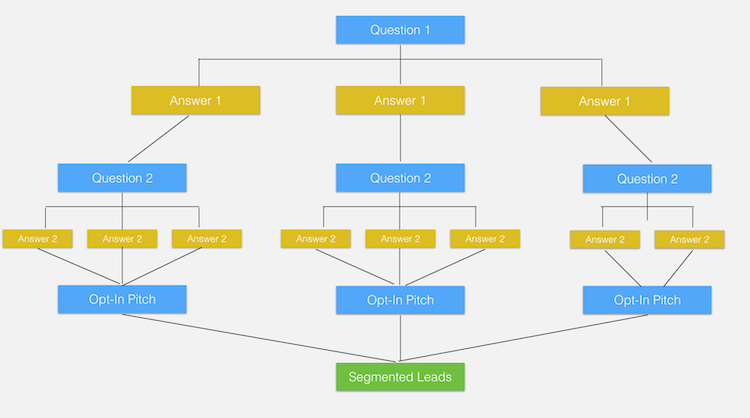 By doing, so you have just created a highly engaging and super simple lead funnel — and all automated. But we are not going to stop here. Keep in mind that we are building a relationship with our audience. And the best way to build a close relationship is by helping people out and going the extra mile! To do this, you can simply create an automated sequence that provides people with more value over a given period of time. Here is an example of my sequence. Let’s assume instead of being an entrepreneur a person discloses as marketer. And then chooses to receive my latest articles. Then I will be able to tag them in my system and send them an automated sequence of articles over a given period of time. By doing so, you are providing even more value and your are building your relationship, which again makes it easier to ask for a sale later on! Once people start to engage with your Facebook Messenger, you will also start to see an influx of direct live messages of people. Questions outside of your automated sequence that are waiting for an answer. I know that it is the dream of us marketers to be able to automate absolutely everything. 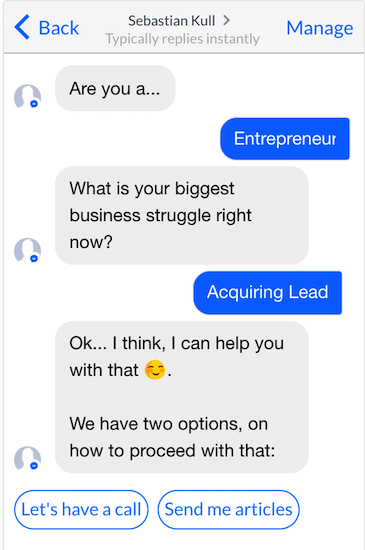 But so far Messenger bots are still in their infancy which means that they are not yet able to respond automatically to all questions. I recommend you to answer as many questions as possible. Keep in mind that you are building relationships with people on a platform that has been reserved for friends and family only! So make sure you respond fast enough to earn that spot. While Facebook Messenger marketing is still in the early stages it has plenty of room to grow, test and experiment! Facebook is growing and it will continue to grow over the next couple of years, so your ready-to-market-to audience will be growing as well! Don’t be afraid of stepping into this marketing territory but start collecting early experiences — today. I am super excited to test more Messenger sequences in the future and see their effect on my audience. What kind of Messenger sequence have you already created? Looking forward to see yours :).